Transform Healthcare Cambodia is a UK charity established to provide healthcare education, training and clinical expertise to support our Cambodian colleagues. Our work is carried out in an atmosphere of mutual collaboration and respect, primarily but not exclusively within the Battambang Province and in particular Battambang Referral Hospital. 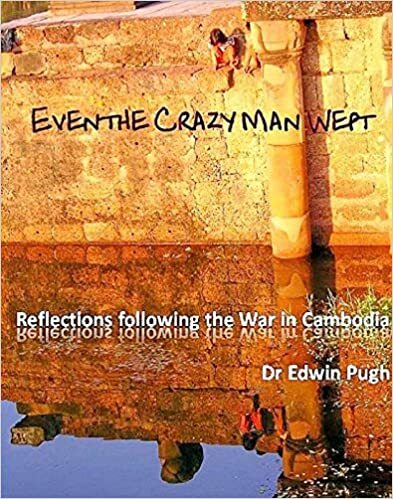 On April 17, 1975, Pol Pot led the Communist forces of the Khmer Rouge into the Cambodian capital city of Phnom Penh, beginning a vicious genocidal four-year regime in which an estimated two million Cambodians lost their lives. All intellectuals and educated people were eliminated, the health care system was entirely destroyed. It is estimated that at the end of the regime only ten doctors survived. Since this time Cambodia has strove to develop and improve healthcare provision for the populous. The 1980's saw a period of reconstruction and rehabilitation with a special effort on training a new generation of health professionals. Transform Healthcare Cambodia supports this endeavour. Wanted: Doctors, nurses, midwives, AHP's and other registered healthcare staff to join us on our 10th trip to Battambang in February 2019. If you're a healthcare professional interested in joining our 10th team, going out to Cambodia in February 2019, or you're interested in joining one of our future teams, please email: Daisy Taylor daisy@transformhealthcarecambodia.org.uk for further information. www.facebook.com/transformhealthcarecambodia to read about our previous trips. Cambodia is a country in South East Asia, surrounded in the west by Thailand, in the north by Laos, and in the east by Vietnam. Most Cambodians consider themselves to be Khmers, descendants of the Angkor Empire that extended over much of Southeast Asia and reached its zenith between the 10th and 13th centuries. The population of Cambodia today is estimated to be approximately 15 million with 90% being under the age of 54, consisting of 90% Khmer, 5% Vietnamese, 1% Chinese and 4% other.